Configuration: 8 packs per box. 6 cards per pack. 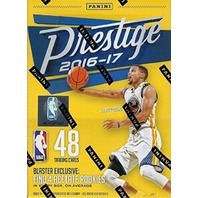 2016/17 Panini Prestige Basketball releases in March 2017 and contains several retail exclusive inserts including Rookie Class, Highlight Reel, Prestigious Passers, Franchise Favorites, Inside the Numbers, and All-Time Greats. Look for parallel Crystal Versions as well. 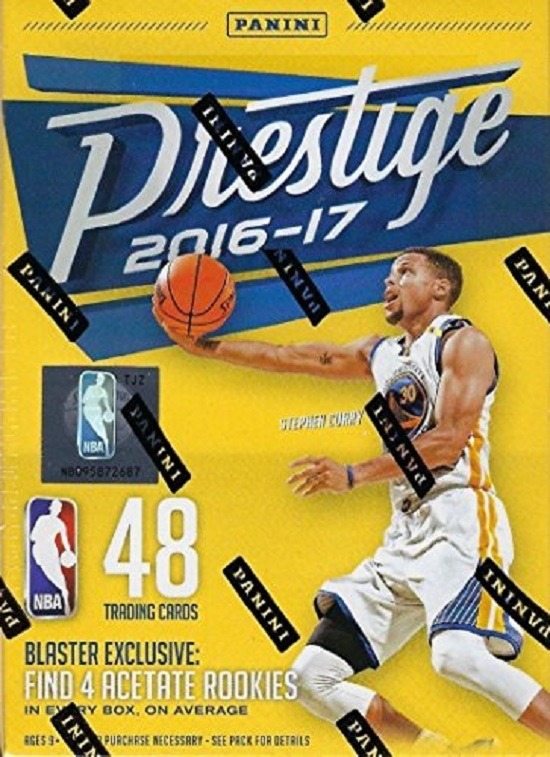 Exclusive Base and Insert Horizon Parallels of the retail exclusive inserts above.